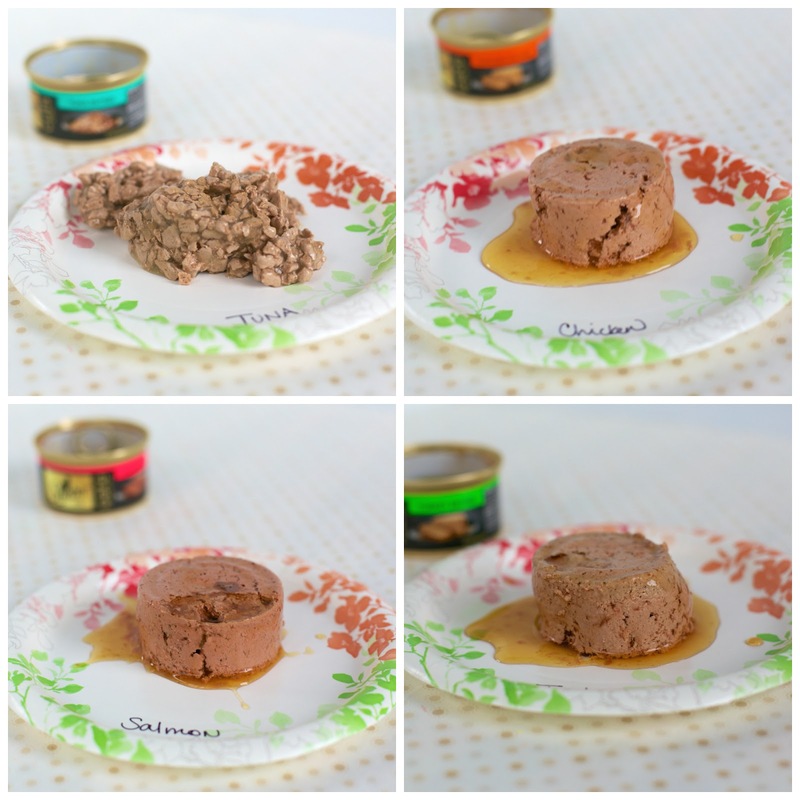 We did a taste test with the new SHEBA® wet food. 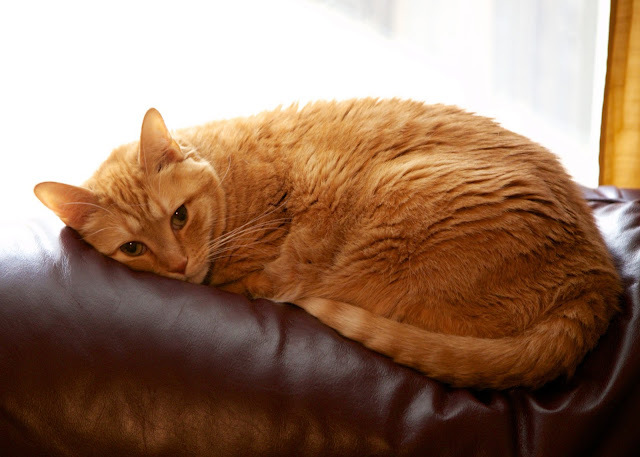 SHEBA® Entrées for Cats features three delicious lines: Cuts in Gravy, Premium Patés, and GRAVY DESIRES™ entrées, each featuring recipes made from carefully selected, quality ingredients. I decided to do a buffet with a sampling of each flavor. 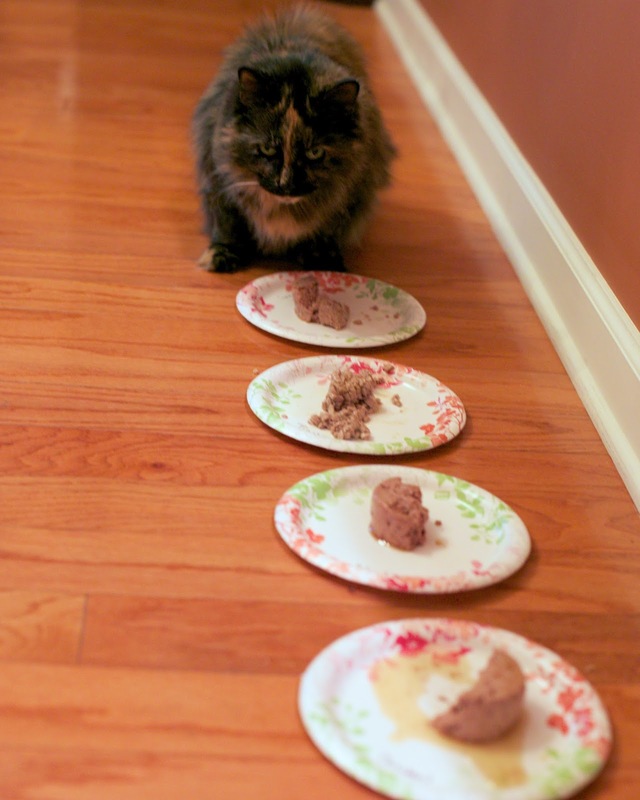 I labeled each plate with the flavor of cat food so I could tell which ones they liked the best. The cats were in heaven with so many choices for dinner. Jack nibbled off of Fluffy’s buffet. He doesn’t like to have his own food; he likes to steal Fluffy’s food. He sampled all the food and preferred the chicken entrée and salmon pate entrées. Overall, this food was a huge hit with the kitties. They all preferred the patés to the cuts. I have already purchased more of the flavors they liked. I feel good about feeding them SHEBA® entrées since all their recipes are formulated without grains, corn, gluten, or artificial flavors or preservatives. All of the SHEBA® Patés are made with meat first recipes - using real beef, poultry, or seafood as the first ingredient. They like it and it is good for them too! BOOM! 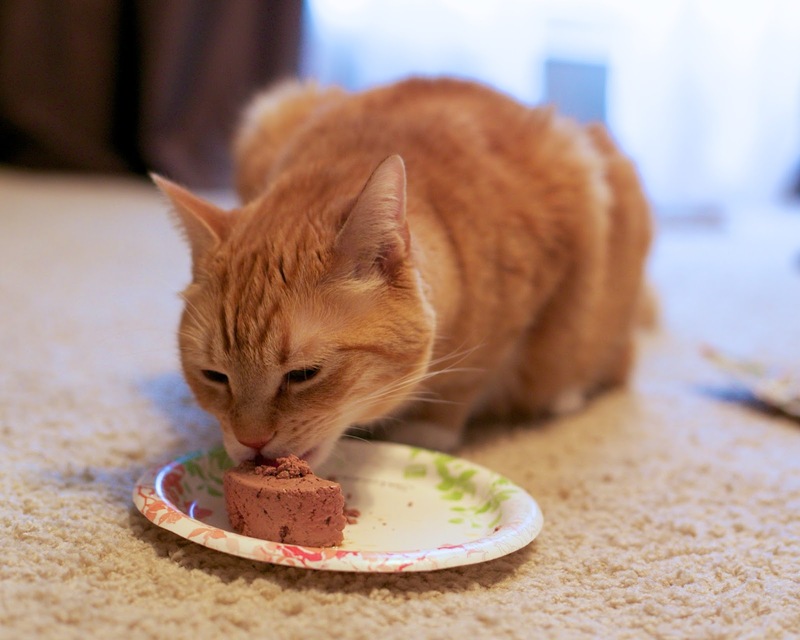 Has your cat tried SHEBA® Entrées for Cats? If so, what is your cat's favorite flavor? Recently we also took the Sheba challenge. My cats loved it! I have picky eaters and they loved the samples. 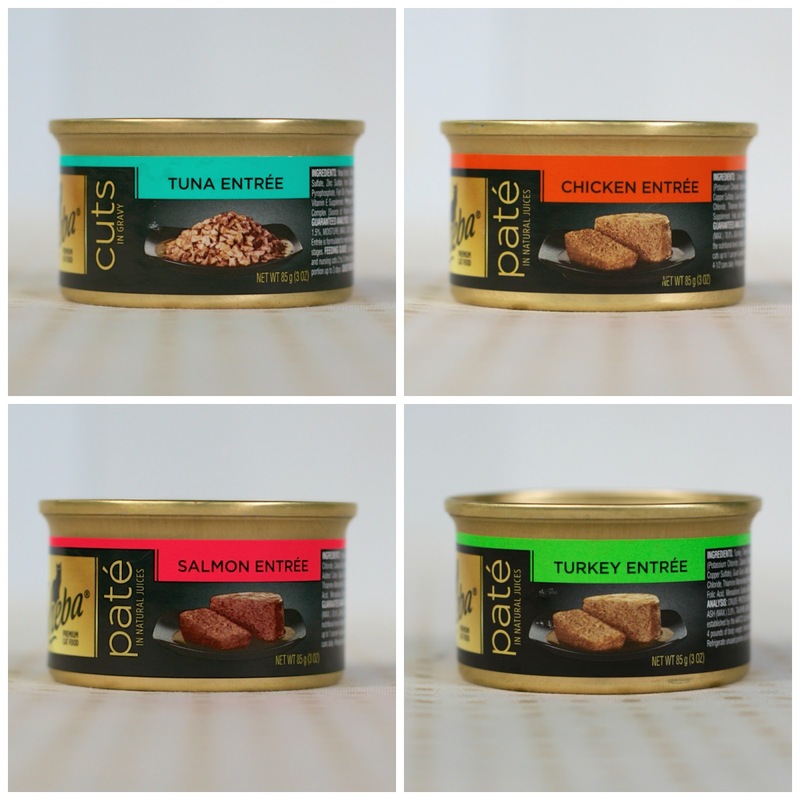 Their favorites are from the pate line in salmon, chicken & liver, and turkey. So glad I changed they are so much more satisfied. They eat less dry food that I leave out all day and their litter boxes are less full during the day. Probably because Sheba has less fillers! Thanks for sharing! Love your recipes and meow Mondays! Blessings! It's like playing roulette at our house.....what will they eat tonight. Glad you found something for Fluffy. I can give most of mine anything. Except Putter, she cannot have anything with fish in it or you get to see it again. I will have to try these. 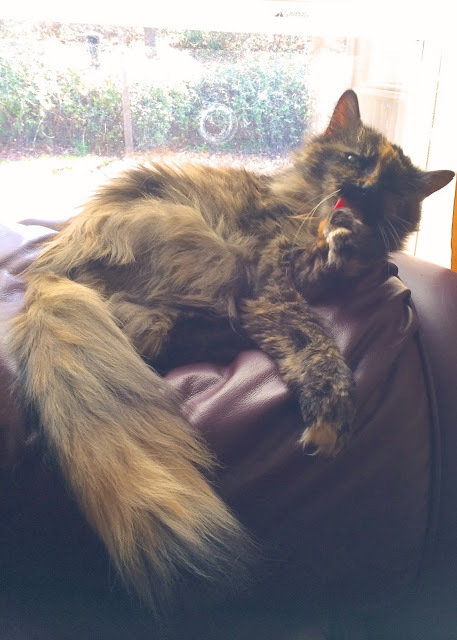 My 16 year old cat Maggie LOVES the chicken cuts in gravy! I mean LOVES it! I feed her a can every night before bed time and she sleeps so peacefully.